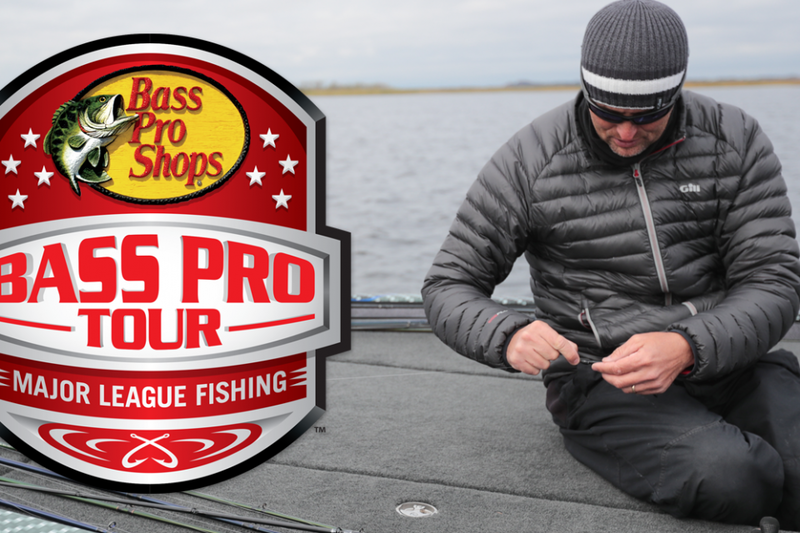 KISSIMMEE, Fla. – Let today serve as a warning to all 80 anglers competing on the MLF Bass Pro Tour: No lead is ever safe. 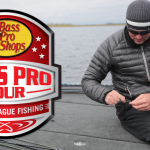 But on the flipside – and as daily winner Marty Robinson happily proved on Wednesday – you’re rarely out of it in the Bass Pro Tour’s “every fish counts” competition format. 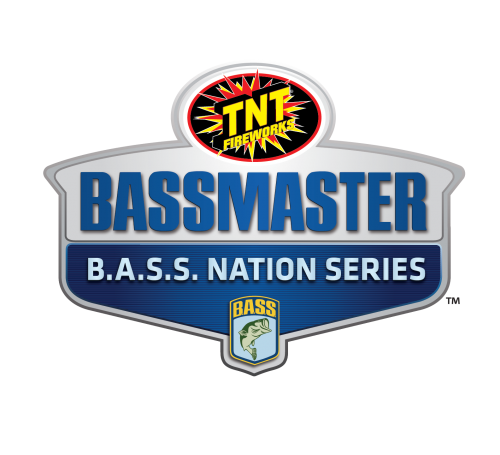 Propelled by one of the most frenetic fish-catching displays in MLF history, Robinson rocketed from near the bottom of the 40-man field competing in Group B at the B & W Trailer Hitches Stage One presented By Power-Pole on the Kissimmee Chain to win the round by over 14 pounds. After struggling mightily with one fish for 2 pounds, 3 ounces over the first six hours of the day, Robinson racked up 33 fish for 53-13 over the final two hours of competition, blazing past Anthony Gagliardi (41-14), Jacob Powroznik (33-8), Greg Hackney (31-6) and Fletcher Shryock (30-1) to claim his first Bass Pro Tour round win. Based on his previous experience fishing tournaments in Florida, Robinson had entered the event with the plan to fish offshore submergent vegetation. 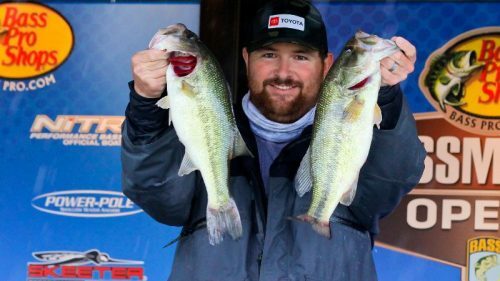 While he didn’t count on that plan producing big bites, he knew he might locate enough sizable groups of largemouth that would allow him to take advantage of MLF’s “every scorable fish” format. That plan seemed like a failure for most of the day as Robinson struggled to locate fish. But once he did land on a school, it proved to be the Mother Lode. 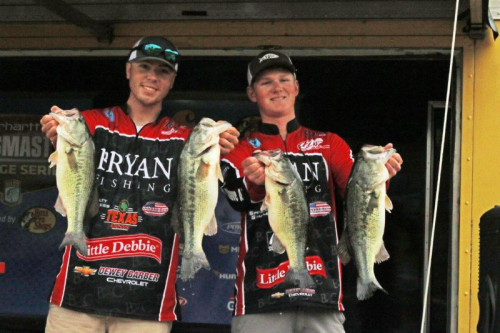 Robinson’s key baits were a green pumpkin Buckeye Lures swim jig and albino Zoom Super Fluke. Until Robinson started his epic run, the day looked like it belonged to Gagliardi. 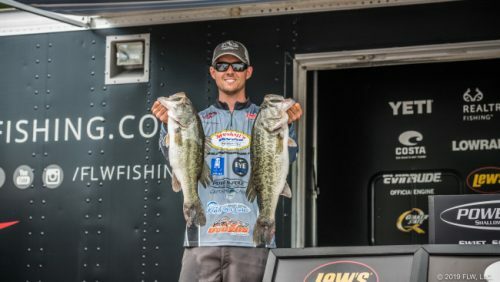 After a relatively slow start to the morning where the South Carolina pro caught three fish in the first two hours, Gagliardi keyed into an open-water jerkbait bite late in the first period, recording 10 fish in a 27-minute flurry just before the period break. That burst added 20-10 to Gagliardi’s weight, pushing him past Hackney and into the lead, which he added to with six fish and 12-5 in the second period. But not long after that, Gagliardi hit an afternoon lull where he failed to catch a scorable bass for nearly two hours, and Robinson went on his tear. Frontal activity continued throughout the day in Central Florida, keeping temperatures in the low 50s, with an intermittent 10-mph north wind and very little sunshine. Unlike Shotgun Round 1 yesterday, when afternoon sunshine stimulated a Period 3 bite, the bite cooled dramatically in the second half of competition. Extended forecasts call for daytime highs to climb into the low 70s by the second Elimination Round on Friday, and 75 by the Championship on Sunday, Feb. 3.